Hamleys Floppy Beanie Cats are the perfect size for little hands and are constructed from the softest fabric, making them suitable from birth. 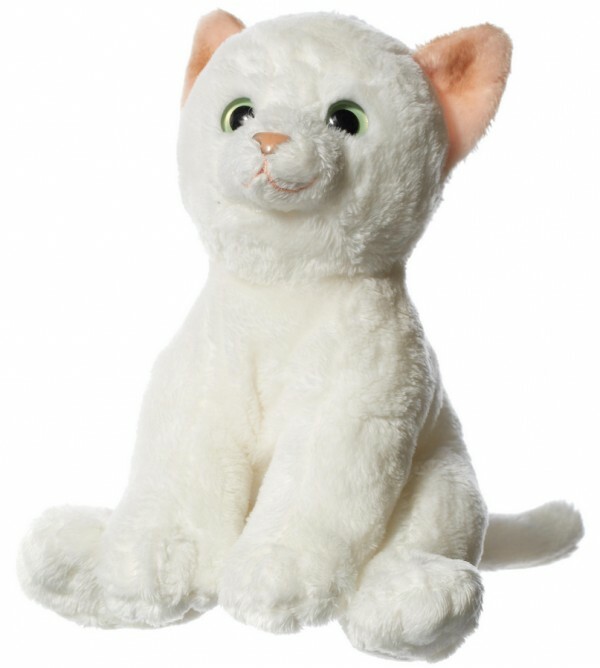 Our White Plush Beanie Cat is part of a cute litter of kitty's looking for the puur-fect home. Like most kittens, Hamleys kittens like to play, cuddle and sleep but as everyone knows, White kittens also love to have their tummy tickled whilst listening to a good story. All Hamleys Floppy Beanie Cats have a malleable beanie base that makes them great for cuddling, detailed friendly faces full of character and bright shiny eyes. Hamleys Floppy Beanie Cats have a sitting height of: 6"/15cm.